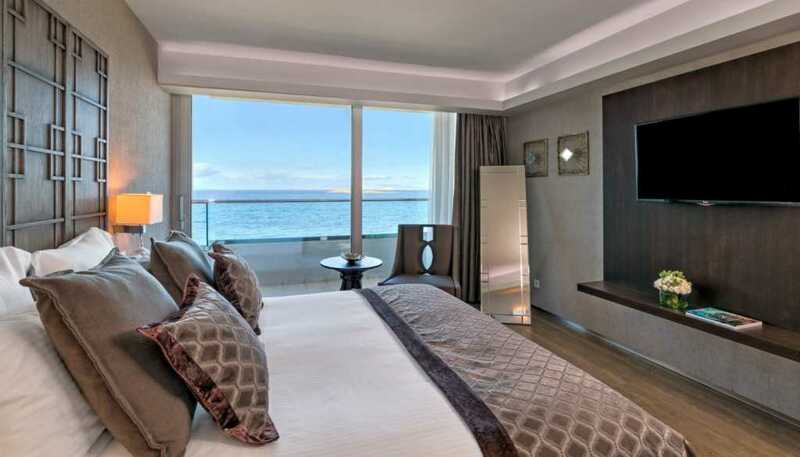 The 2nd and 4th floors of the Divani Apollon Palace & Thalasso have been redesigned and updated, meeting even the highest standards of international guests and providing an enhanced visitor experience to all. 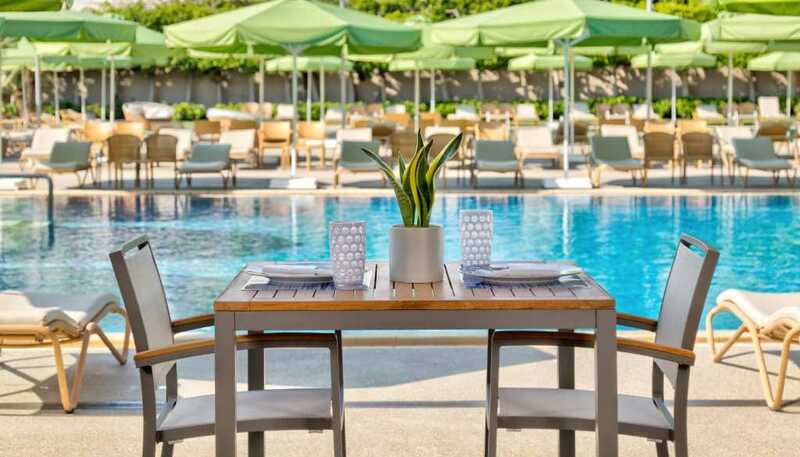 The unforgettable, timeless elegance of the Divani Hotel Group is complimented by a new, calming color palette inspired by the Mediterranean Sea and upgraded with the addition of modern elements and contemporary features. Wood paneling has been installed in rooms and suites for increased sound insulation and privacy, whilst brand new king-sized beds, luxury mattresses and top quality linens guarantee ultimate relaxation and an uninterrupted night’s sleep. Meanwhile, guests staying in executive rooms and suites will enjoy coffee, using the newly installed, premium espresso machines. 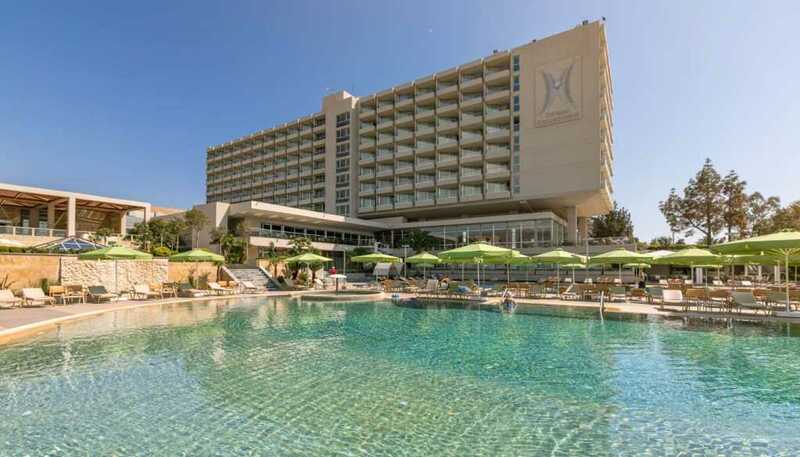 The Divani Hotel Group is committed to ensuring that the guest experience at Divani Apollon Palace & Thalasso is fully compatible with modern living. A complete overhaul of the WiFi network ensures flawless connection across all rooms, suites and public areas of the hotel, whilst strong broadband speeds allow guests to work and stream online confidently throughout their stay. State-of-the-art TV sets have also been added to rooms on the 6th and 7th floors, as well as all executive rooms across the hotel. All rooms now benefit from upgraded power outlets and adapters, enhancing the stay of international and business guests and complimenting their overall experience. Following radical renovation works, the Divani Apollon Palace & Thalasso is proud to reveal its new external face. All outside paving has been redesigned, enhancing guest safety whilst at the same time offering a new, modern aesthetic across all outdoors areas. New poolside lighting has been installed, inspired by the summer sunlight and balmy Mediterranean air, and conjuring an aura of escape and relaxation. 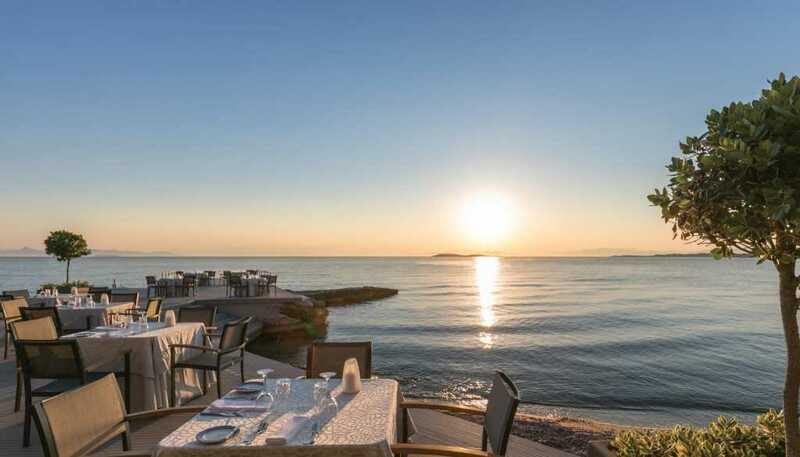 Guests of Mythos by Divani are invited to live their personal fairytale in the newly renovated restaurant, where simple decorative touches have been added in perfect harmony with the adjacent seascape. With the soft color scheme and delicate use of marble offset by striking sea views, Mythos by Divani welcomes visitors to an airy space, bathed in light and the fresh, salty scents of the Mediterranean. The renovations are accompanied by a truly mythical menu – an ode to the treasures of the sea offering flavors to excite and delight even the most demanding of palates. A simple marriage of the finest Greek ingredients with modern culinary techniques produce inspired dishes, highlighting fresh flavors with elegance and style. Renowned across Greece and Europe for its award-winning Thalassotherapy Center, the Divani Apollon Palace & Thalasso strives to enhance its wellness facilities with the addition of the latest fitness equipment from cutting-edge manufacturer Technogym. Drawing inspiration from Apollo, god of the sun, the Divani Apollon Palace & Thalasso is a modern temple to the positive energy of light and sea. 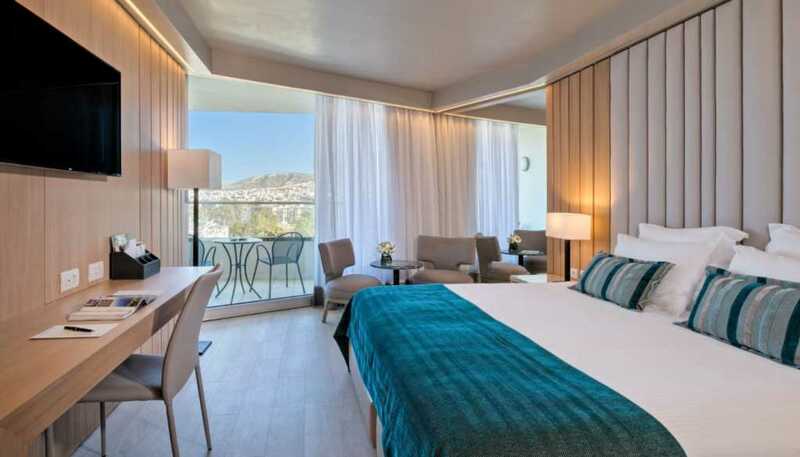 The hotel stands as the definition of hospitality, and these new renovations will further enhance its reputation as the premier destination hotel of the Athenian Riviera.